Known for its pristine beaches, crystal clear waters, and various water-based activities like scuba diving, snorkelling and so on, Andaman is a world-renowned tourist destination. This mesmerizing tourist destination has a history of colonial occupation by Austrian, Danish and British. Experience this and more with Andaman tour packages by SOTC. These islands became famous as the strict jail during the British rule, known as ‘Kaala Pani’. Today, this cellular jail stands as a docile and famous tourist destination. 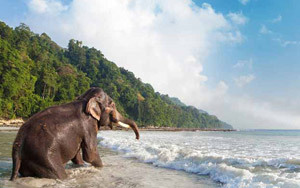 Andaman packages by SOTC let you experience this mesmerizing island like never before. You are bound to fall in love with the turquoise waters which are beautifully surrounded by mangrove forest and primeval jungle. Your Andaman tours are complete when you book your tour with the right Andaman packages. You are all excited to travel to the island that is filled with pristine blue water, sugar-white beaches and not to forget glorious sunsets. You can have your Andaman tours only by airways or waterways as the islands are beautifully are located off the Southern Coast of India. Travel Andaman by Air – You have Veer Savarkar International Airport at your service that is well-connected via flights to Chennai and Kolkata Airport. Major airlines like Air India, SpiceJet, Jet Airways, and GoAir are here to take you to Andaman. Travel Andaman by Waterways – Another way to travel to Andaman is by waterways. Though it is a time-consuming journey, the magnificent views you get to witness is just worth! You can take a ship to Port Blair from Chennai and Kolkata. It takes approximately 50-60 hours. Your Andaman tours when booked with SOTC ensure hassle-free and comfortable traveling experience with affordable flight rates. Go through the Andaman holiday packages and choose the one that best meets your preferences. If you are looking for a perfect beach holiday, Andaman is the answer for you! Blessed with turquoise waters, amazing tranquillity, sandy beaches, and a perfect haven, Andaman holidays is something you should not miss. The Andaman Islands gleam with rich marine life including coral reefs which play a major role. Flanked by palm trees and scenic beaches, Andaman holidays promise you a lifetime experience. 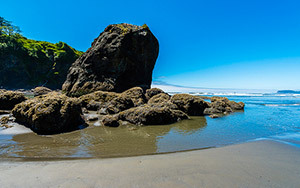 It is home to a number of attractions that should not be missed. Do make it a point to visit the famous Ross Island that speaks of tranquillity and scenic beauty. Do not forget to add a visit to the famous Havelock Island in your Andaman tour packages. You also have other attractions that include Mount Harriet National Park, Elephant Beach, Wandoor Beach, Samudrika Marine Museum and so on. 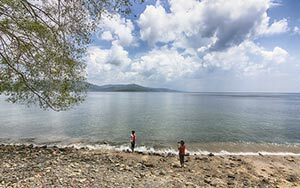 Apart from being blessed with azure waters, sandy beaches, and intriguing atmosphere, Andaman is a place you should not miss trying authentic delicacy. While you are here, ensure your Andaman tours lets you not miss on munching on Andhra Biryani at Gem Restaurant that has strong flavors of ground spices and green chilies. A must-try dish here is the coconut prawn curry which is beautifully prepared with local spices. 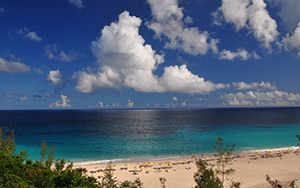 You also have Waves at Corbyn’s Cove Beach which serves delectable Thai and Indian cuisine. Andaman tour packages by SOTC not only ensure you explore the top attractions, but also ensure you taste authentic Andaman food by visiting the top restaurants and eatery joints. 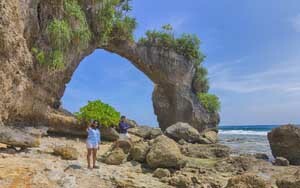 Besides, exploring and experiencing the attractions this beautiful destination has to offer, Andaman tour packages also lets you experience its unique culture. Andaman has a rich culture and traditions. You can say it is a mini-India for it is home to a large migrant crowd from other Indian states such as Tamil Nadu, West Bengal, and Kerala. This also leads to Andaman celebrating different festivals including Durga Pooja, Pongal, Diwali and so on. The native population of Andaman and Nicobar Islands is constituted by two different groups – Negrito in the Andaman and Autochthones. A large number of people belong to the descendants who migrated here during the early periods from the Indian mainland region. You can say, your Andaman tours are a complete package with sightseeing, things to do and not to forget witnessing its true culture and tradition. Book your Andaman tour packages to explore the top attractions or indulge in different activities like parasailing for mesmerizing sights to diving into the sea to explore the underwater world. Andaman holiday packages by SOTC have got your back to ensure you have a wonderful time be it with your friends or family. Q. What is the best time to visit Andaman? A. The best time to visit Andaman is from min-January to May. Q. What is the currency used in Andaman? A. Andaman uses Indian Rupee as the major currency. Q. How long does it take to reach Andamans? A. You can either take a flight from Kolkata/ Chennai that takes approximately two hours, while you from Delhi it takes around five hours. You also have the option of waterways which takes approximately 50-60 hours. Q. Is it easy to find vegetarian food in Andaman? A. Andaman is well known for fish food. However, vegetarian food is easily available through vegetarian restaurants. Q. Can I access the internet and make international calls?